Transform your home with amazing home additions to create an extra cozy area for your family to enjoy! If you are a homeowner and are thinking about adding to your house, consider yourself as an artist with a blank canvas in your hands. The possibilities are endless of taking your existing home to the next level. Not only does it add value to your home, but it will create a more spacious environment for overall functionality. When you buy an existing home, it can be hard to check everything off your wish list. Most of the time you must compromise and settle for less than what you dreamed of. This is not the case when you put an addition on your house. You call the shots and design it exactly to your liking. 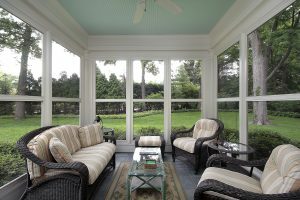 You may want to add a back porch to offer more living space, as well as an extra area to entertain guests. Maybe you are expecting another child and need another bedroom so your children have their own bedrooms. Whatever the case may be, you are the boss. You have complete control of the designs, dimensions, and location of your new home addition. Home additions are a win-win scenario. Not only do you add value to your existing home, but you save money rather than purchasing a new house. You also make your home more comfortable because it is tailored specifically to your wants and needs. Even the smallest improvements/additions can end up bringing in the greatest returns if you eventually decide to sell your house. From Home Additions To Completely New Spaces, Kitchen &Bath Depot Is Your Go-To For Home Remodeling! Ready to get started on your next home remodeling project? Kitchen and Bath Depot is your premier home remodeling professional. We provide remodeling services to customers throughout Maryland, Washington D.C., Bethesda, Chevy Chase, Rockville, Potomac, Silver Spring, Olney, Gaithersburg, Derwood and North Potomac. If you are ready for a quote and to see how we are different than other companies, contact us online or give us a call at (301) 888-5324. For more tips, follow us on Facebook, Houzz, Twitter, Google+, and Pinterest. This entry was posted on Friday, May 5th, 2017 at 9:24 am. Both comments and pings are currently closed.